On the 14th of September we will be anouncing the winner of the 2017 ALPSP Awards for Innovation in Publishing, sponsored by MPS Limited at the 10th Anniversary ALPSP Conference. In this series of posts leading up to the Awards ceremony we meet our six finalists and get to know a bit more about them. First up, we speak to Andrew Preston, Co-Founder and Managing Director of Publons. All of these threads feed into our mission to speed up research through the power of peer review. What is the project that you submitted for the Awards? We submitted the Publons reviewer recognition service. This is essentially what you find on Publons.com and comprises of a free offering for researchers and a paid service for publishers. Researchers sign up to create a free account. Publons then makes it really easy to import, verify, and store a record of every peer review they've performed and every manuscript they've handled as an editor, across any journal in the world. Researchers also have access to personal statistics and a downloadable, verified review record, which provides evidence of their service and standing in their field. Records can be added regardless of whether the manuscript goes on to be published. Publons works with researchers and journals to set policies about what information can be displayed publicly. We support all review policies, ranging from completely open to double-blind, and we also enable post-publication review. Partner journals are able to add Publons to their peer review workflow. Every time a researcher reviews for one of our 1,350 partner journals they are able to opt in to have their review seamlessly added to their Publons record. Researchers love this, making it really easy for a publisher to provide an enhanced service to reviewers. Why do you think it demonstrates publishing innovation? Peer review is at the heart of the research ecosystem. We rely on it to validate findings, evaluate their importance, and to flag issues in the publication. When peer review suffers, so does the quality, pace, and public perception of research. Publons is the first platform to bring some transparency to the peer review process. It took significant technical innovation to develop the infrastructure to handle the peer review policy and editorial management system for really any journal in the world. The scale of uptake -- 180,000 reviewers and 1,350 journals from many of the top publishers in the world -- highlights the importance of the market need we're filling. 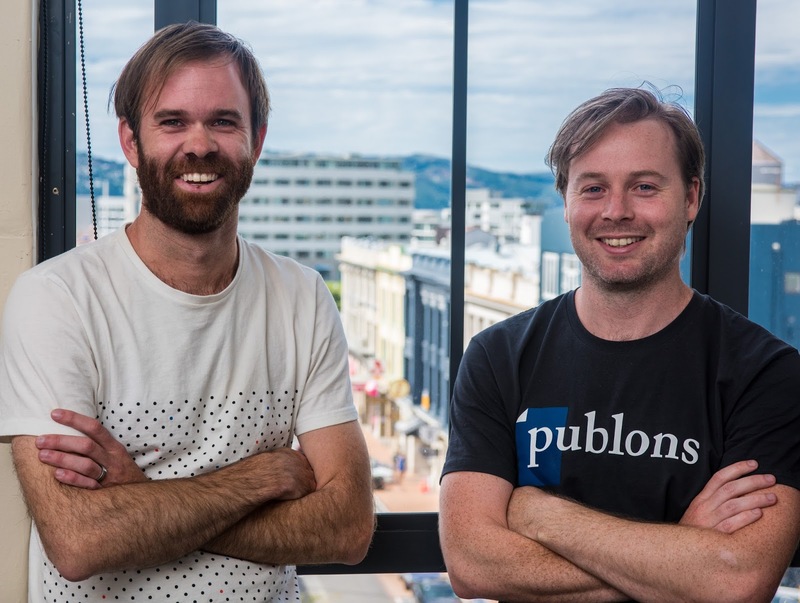 Publons was recently acquired by Clarivate Analytics. Together, as a trusted neutral player in the market, we believe we can tackle the challenge of bringing trust and efficiency to peer review at scale. We plan to expand our offering to make it even easier for researchers to get recognition for their work and for publishers to have a deeper understanding of researcher workload and expertise. Right now though we are preparing for Peer Review Week - a global event celebrating the essential role that peer review plays in maintaining scientific quality and looking forward to finding out who the winners of the Publons Peer Review Awards are too. Andrew Preston is the co-founder and Managing Director of Publons. He was an active researcher in physics, first as a PhD student at Victoria University of Wellington, then as postdoctoral researcher at Boston University. He founded Publons with a mission to speed up research by improving peer review. Publons recognises reviewers for their work and -- with more than 170,000 researchers and over 1,350 partner journals -- is the world’s largest peer review platform. Publons was acquired by Clarivate Analytics in June 2017. See the ALPSP Awards for Innovation in Publishing Finalists lightning sessions at our Annual Conference on 13-15 September, where the winners will be announced. The ALPSP Awards for Innovation in Publishing 2017 are sponsored by MPS Ltd.